Google’s leveraging of its latest mobile operating system, Android 5 “Lollipop,” has allowed the company to expand its mobility initiatives into new and exciting industries. 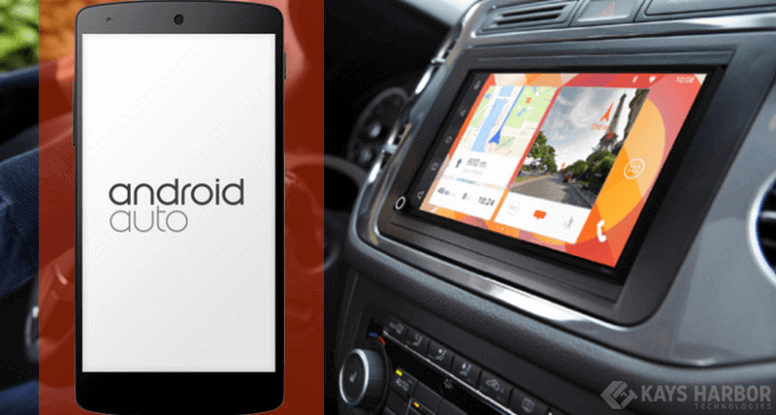 With the development of Android Auto, Google has set its sights on the automotive industry. The 2015 Sonata marks the first car manufacturer to include compatibility with Google’s new application. This is an exciting time in the auto industry as it marks a significant step towards changing how drivers safely interact with mobile devices. It’s important to start by making it clear that Android Auto is not a stand-alone application loaded onto your car’s digital console. Rather, it’s an application users would load onto their own mobile devices. Through a USB connection, Android Auto then acts as a platform through which other applications can be used using voice commands and integrated steering wheel controls and touch screen controls through the vehicle’s digital head unit. Android Auto supports applications such as chat and messaging programs, digital music providers, GPS functionality, and calling features. There is a truly mobile and customizable approach to the design of Android Auto that has many manufacturers announcing they will be incorporating Android Auto support. Manufacturer support is driven in part by the fact that the application and its ongoing upkeep and maintenance requires no costly investment on their part – manufacturers only need to provide support for the application on vehicle hardware. Drivers must download the application to their mobile device and then plug their device into the system through a USB. Once connected, the device can output information through the vehicle’s in-dash display unit accordingly. This is a fantastic thing, as it keeps updates in the hands of the user, rather than requiring time-consuming visits to the dealership or complicated downloading of software to your car’s display via portable USB drives. Find a new chat program or a GPS navigation application you want to use? Download it to your phone through the Google Play marketplace page for Android Auto-supported applications and off you go. Behind the bells and whistles of Android Auto’s customizable approach to integrating drivers’ mobile lives into their driving routine is a very serious focus on safety. The primary goal of Android Auto is providing drivers a way to stay connected while allowing their hands to never leave the wheel of the car. Android is taking the safety initiative aspect of Android Auto seriously enough to dedicate an entire website aimed at educating and advising developers of applications who wish to be supported by Android Auto. The site overviews how to design for applications to be used in vehicles – from interface layout to color scheme – and provides a clear roadmap on how to successfully integrate safety into the design of different categories of applications. Google has changed the playing field of mobile solutions in the automotive industry with the introduction of Android Auto. Rather than forcing manufacturers to tackle the design challenges of integrating mobile into their vehicles, the application lets manufacturers do what they do best – design cars. Car manufacturers can rely less on Bluetooth integration and no longer will be forced to figure out how to establish compatibility with multiple devices from multiple manufacturers. Vehicle manufacturers can even worry less about adding wireless connectivity solutions to their vehicles, as applications are now native to the mobile device and will rely on the wireless connection offered through the device rather than the vehicle. Integration becomes as simple as allowing for compatibility with an application through a USB connection, a far simpler and cost effective method for car manufacturers. Meanwhile, mobile application designers are left to do what they do best, and that’s creating mobile solutions, but in a much simpler sense as they are now designing around integration with a single portal application and for a fairly standard set of device interfaces. This is an exciting situation for software developers. Before the launch of Android Auto, developers would have had to develop complicated relationships with competing client bases, and potentially have to develop different applications on multiple platforms with incompatible requirements, complicating workflows and efficiency. As Android Auto and competing platforms such as Apple CarPlay are embraced by the automotive industry, designers are now able to focus on what makes a great application and can be assured that audiences across all brands will be able to access and use it with little issue. The update process of mobile platforms assures mobile developers that the best version of their software is in use at all times. However, as automotive manufacturers announce support of both Android Auto and Apple CarPlay, it is likely that vehicles will become yet another battleground of the mobile device giants. Will manufacturers eventually be forced to become exclusive with one service or the other? Or will car buyers be able to determine at purchase which platform they prefer? How flexible will manufacturers be allowed to remain? One thing is certain, consumers benefit the most with the new focus on safety above all else. As developers, Kays Harbor Technologies look forward to seeing how these questions are answered in this new and exciting marketplace.